Kwame Nkrumah was born in Nkroful, Gold Coast , in 1909. Nkrumah’s mother sent him to a Catholic mission , elementary school, in the small town of half Assini. By 1925 Nkrumah was baptised in the Catholic faith. That same year Nkrumah, a brilliant student was noticed by a reverend named Alec Fraser, who was a principal at the Government Training College, there he met Kwegyir Aggrey, a headmaster educated at Columbia University. Aggrey would mentor Nkrumah and educate him on the works of Jamaican Pan-Africanist Marcus Garvey and American civil rights activist W.E.B Du Bois. After graduating in 1930, Nkrumah would get a teaching position at a Catholic primary school, in Elima , he would later be named headmaster of a school in Axim. In 1933, while still in Axim, he began to get involved in politics and created the Nzima Literary Society. During that sametime Nkrumah would also befriend future Nigerian President Nnamdi Azikiwe, who would influence Nkrumah’s belief in black African nationalism. In 1935, Nkrumah would move to the United States to further his education, eventually earning a scholarship at Lincoln College, he would work as a dishwasher to pay his bills. In 1939 ,Nkrumah earned a degree in economics and sociology. Lincoln would later name Nkrumah an assistant lecturer of philosophy. 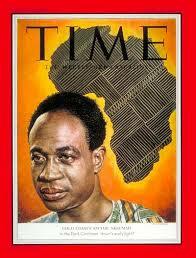 That same year in 1939, Nkrumah would enroll both at Lincoln’s seminary and Ivy League University of Pennsylvania. He earned a Bachelor’s of Theology in 1942 and the next year earned both a Masters of arts degree in Philosophy and a Master of Science in Education, from Penn. During his summer breaks, Nkrumah would go to Harlem, where he would converse on black thought and get involved in the community. In 1944, Nkrumah would begin to get involved in activism, he would created the African students Association of America and Canada, with fellow expatriates from Africa. Nkrumah would also play a big role in the Pan-African conference in 1944, held in New York. In 1945, Nkrumah would move to London, while there, he spent his time doing political organizing, and would help organize the fifth Pan-African congress, that was held in Manchester, United Kingdom. In 1946 the Gold Coast constitution gave Africans a majority on the Legislative Council for the first time in history. Many Africans in the Gold Coast Colony, saw this as the first process towards independence. This prompted several successful African Businessmen to form their own political party, the United Gold Coast Convention (UGCC), their aim was to gain independence from Great Britain as soon as possible, since most of the UGCC members were successful businessmen and very busy, they looked for someone to run the party. Kwame Nkrumah, he had just returned home to the Gold Coast was suggested by Ako Adjei, Nkrumah would accept the position, because it gave him political opportunities and connections , he otherwise would not have. In 1948 there was nationwide dissatisfaction on how the British controlled colony was run, due to inflation caused by World War 2, people were angry over high prices for goods, which helped lead to a boycott of Arab owned stores. Also there were tens of thousands of ex-service men who returned and were having a hard time obtaining jobs,and the Colonial authorities did little to remedy the situation. On February 28, 1948 , Nkrumah led a demonstration, which was to end with Nkrumah giving a petition to the Colonial Governor of the Gold Coast. Soon after the demonstrations began, the British began to shoot at the protesters, which would ultimately led to riots in Accra, which would spread throughout the colony . The British government assumed that the UGCC was responsible and six of its top leaders, including Nkrumah were arrested. In April 1948 after several protests by supporters demanding their release and a plot a storm the prison was discovered, all the UGCC members were freed, by the authorities. With growing pressure from his supporters to start his own political party and with increasing conflict within the UGCC, on June 12, 1949, Nkrumah announced the formation of the Convention People’s Party (CPP). CPP staff members drove all over the country to gain support for Nkrumah, from all walks of life, from poor farmers to successful business people, these campaigns were very successful and contrary to the strategy of his rivals, who focused mainly on the Urban intelligentsia. Nkrumah called for unions in Ghana to have a general strike, when it was discovered, that the British selected a commission of elitist Africans, including some UGCC members to draft a new constitution, that would give The Gold Coast more powers to be self-governed , but not full independence. The strike would eventually led to violence and on January 1950, Nkrumah and several CPP members would be arrested. Nkrumah would be sent to prison, in Nkrumah’s absence, his assistant, Komla Agebeli Gbedeman, would continue to run the CPP, and grow its national appeal. In the universal Legislative election, the first universal Franchise election to be held in colonial Africa, Nkrumah’s cpp party tool 34 of the 38 seats available, Nkrumah was elected by his Accra Constituency. Nkrumah would face many issues,when took office, he was a virgin in government politics, he also had to find a way to unite the four major regions, that were once four very distinct colonies, and some how find a way to forge them unified country. Before the CPP took complete control of the government, Nkrumah and the British agreed on a joint five year plan to improve infrastructure in the nation. Nkrumah’s official title was Leader of Government Business in a cabinet, but when the British Governor left the cabinet, Nkrumah became the Prime Minister. In July of 1956 an election was held and the results were the same as the previous election, and on August 3, the Assembly voted for full independence. In September, the British Colonial office announced independence would be granted on March 6, 1957. KWAME NKRUMAH’S GHANA INDEPENDENCE SPEECH MARCH 6, 1957 IN ACCRA. 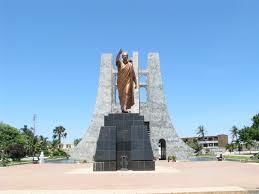 Nkrumah would serve as President of the newly formed independent nation of Ghana from 1957-1966. During those years Nkrumah sought to end Tribalism, improve civil service, education and promote Pan-Africanism throughout the continent of Africa, which consisted of Nkrumah creating several International organizations to build unity on the world’s 2nd largest continent. Despite Nkrumah’s good deeds, the longer he was in office, the more he began to act like more a dictator, he had the constitution amended to give himself the power to have any judge removed, he also proposed an amendment, that was passed, that made the CPP, the only legal party in Ghana. Nkrumah created a Ghana news agency and consolidated state control over newspapers. During the time of independence, Ghana was one of Africa’s wealthiest, with railways, schools, social security, hospitals, a thriving cocoa industry and good economy. But Nkrumah’s desire to rapidly industrialize Ghana, put Ghana in debt. Nkrumah would never return to Ghana, but continued to fight for a united Africa. While in exile he lived in Conakry, Guinea, as a guest of President Ahmed Sekou Toure, he was given the title of honorary Co – President of Guinea. Even in exile Nkrumah always feared for his life from Western intelligence agencies. One of Nkrumah’s cook’s died suddenly and mysteriously and Nkrumah feared he would be poisoned. In bad health Nkrumah flew to Bucharest, Romania to receive medical treatment in August 1971, he would die a few months later of prostate cancer in 1972, he was 62. MEMORIAL TO KWAME NKRUMAH IN ACCRA, GHANA. In 2000 BBC listeners voted him Africa’s man of the Millennium. And in 2009, late Ghana President John Atta Mills declared on September 21, the 100th anniversary of Nkrumah’s birth to be founders day, statutory holiday in Ghana to celebrate the legacy of Kwame Nkrumah. DOCUMENTARY ON PRESIDENT KWAME NKRUMAH OF GHANA !